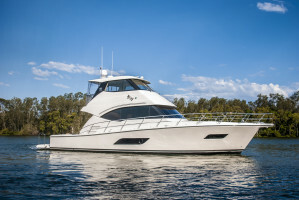 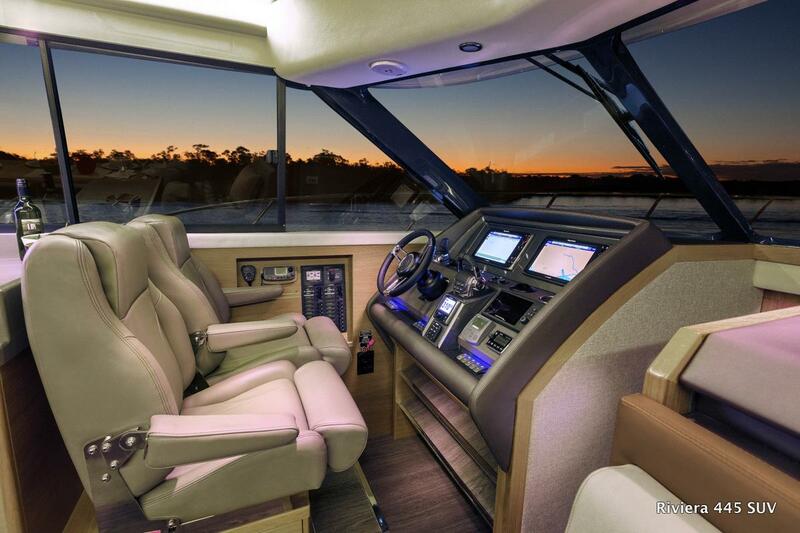 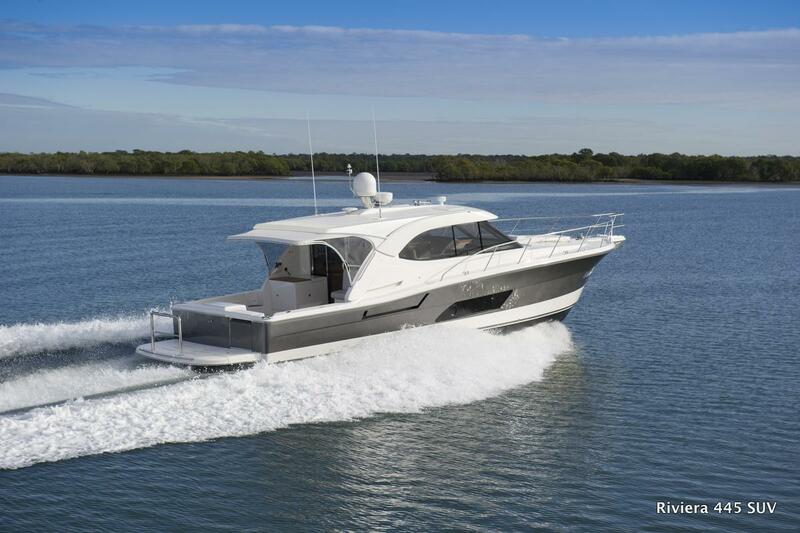 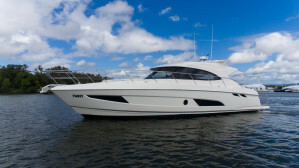 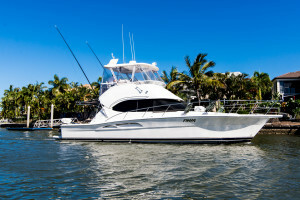 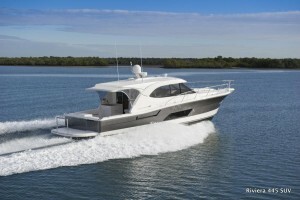 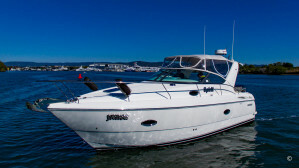 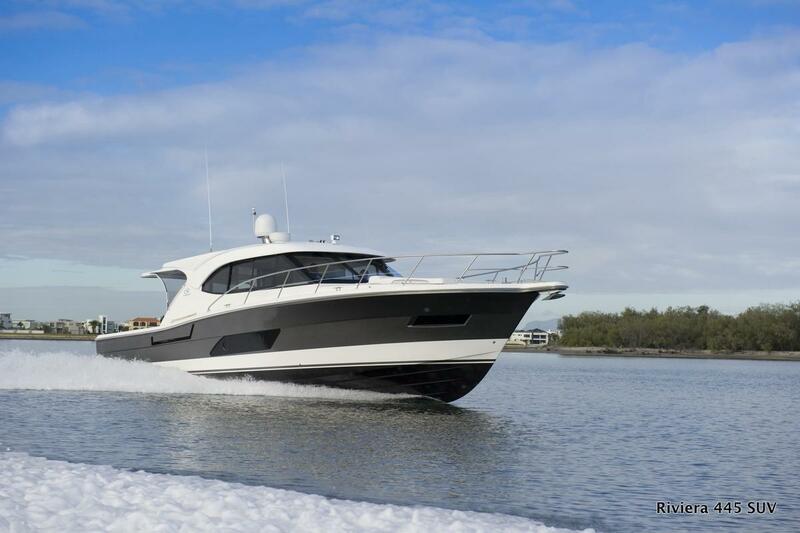 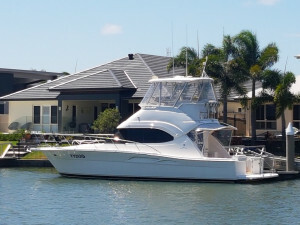 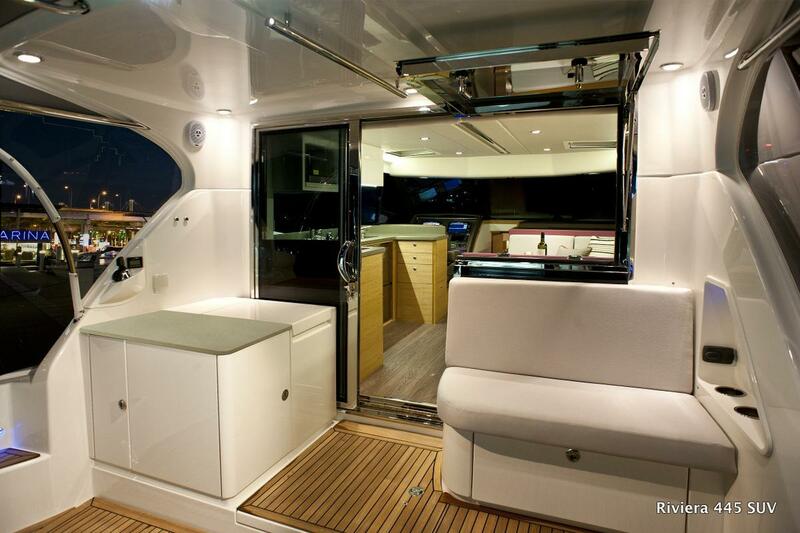 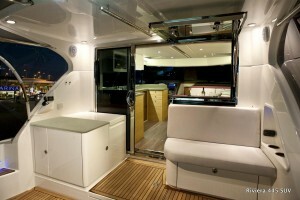 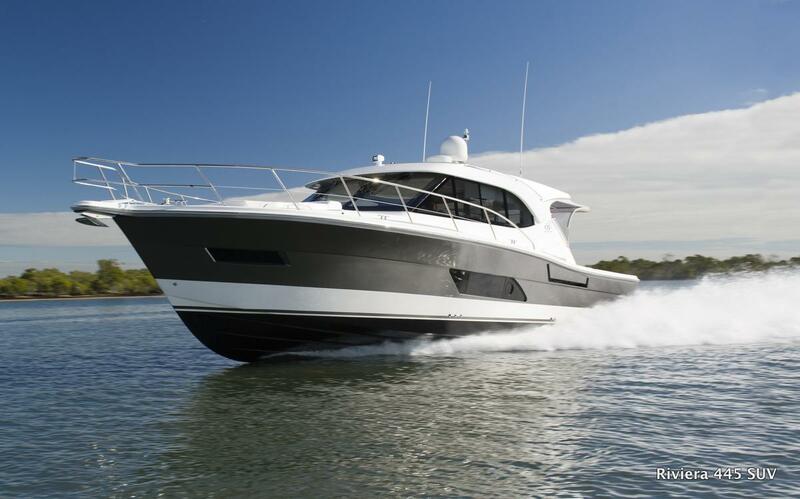 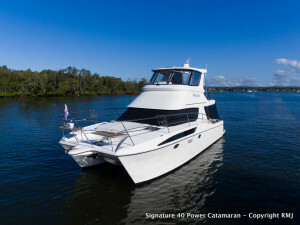 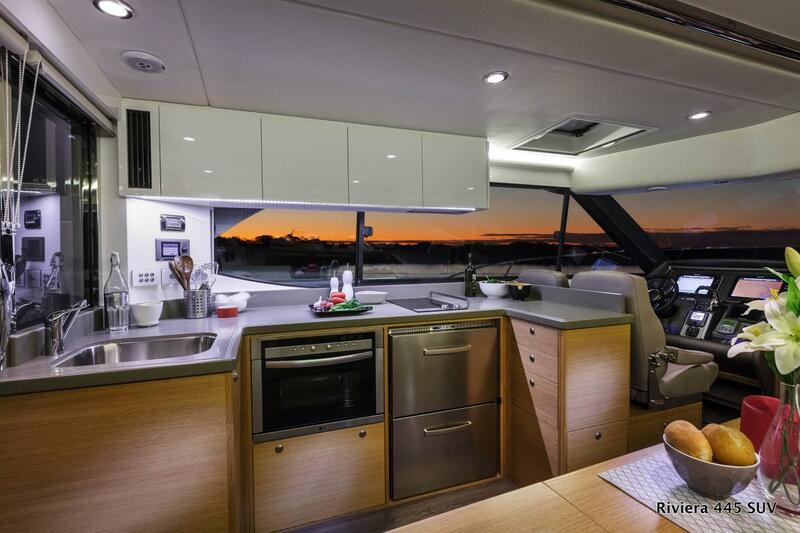 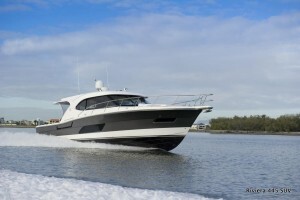 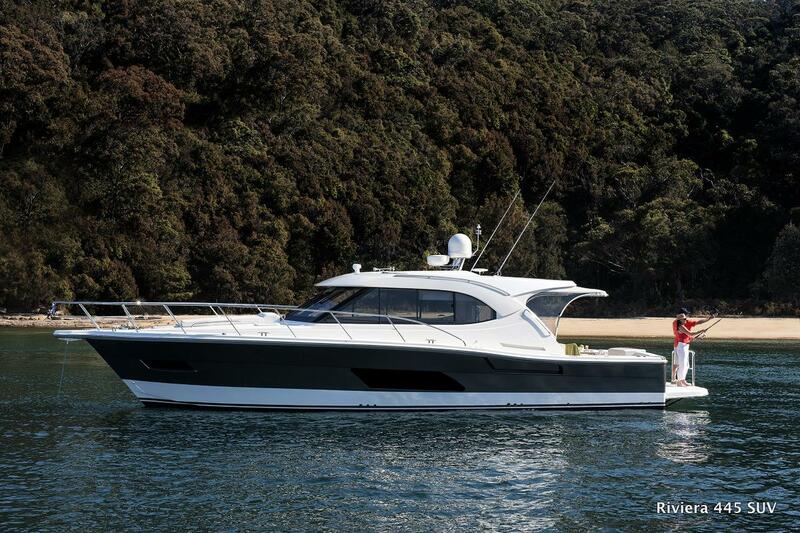 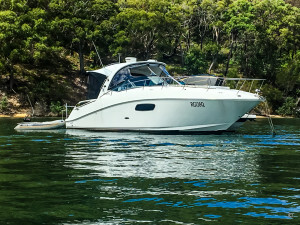 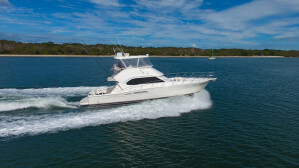 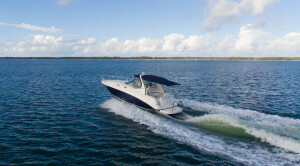 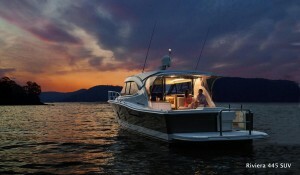 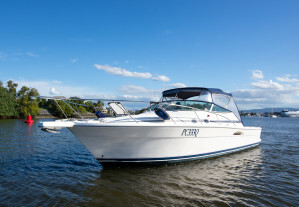 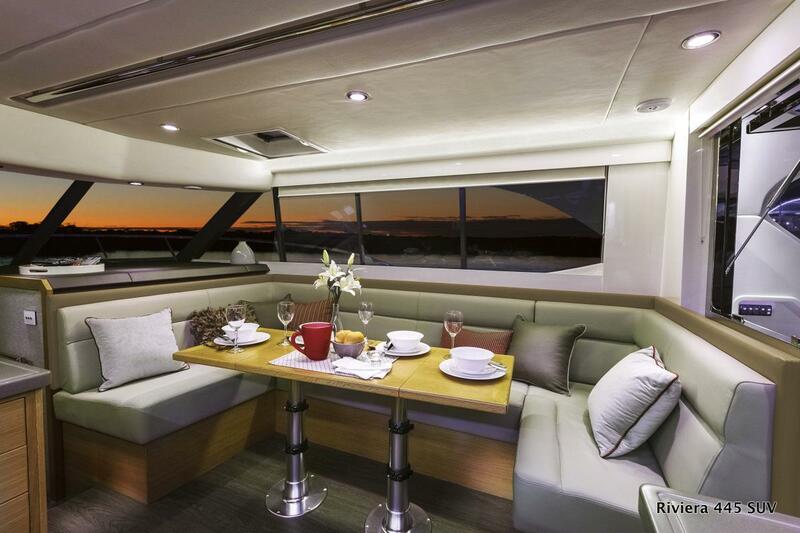 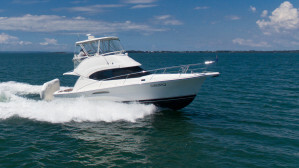 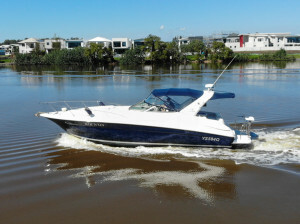 The sporty and adventurous Riviera SUV series opens up a whole new world of boating enjoyment for both the avid angler and cruising entertainer. 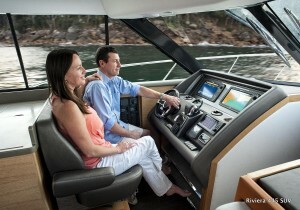 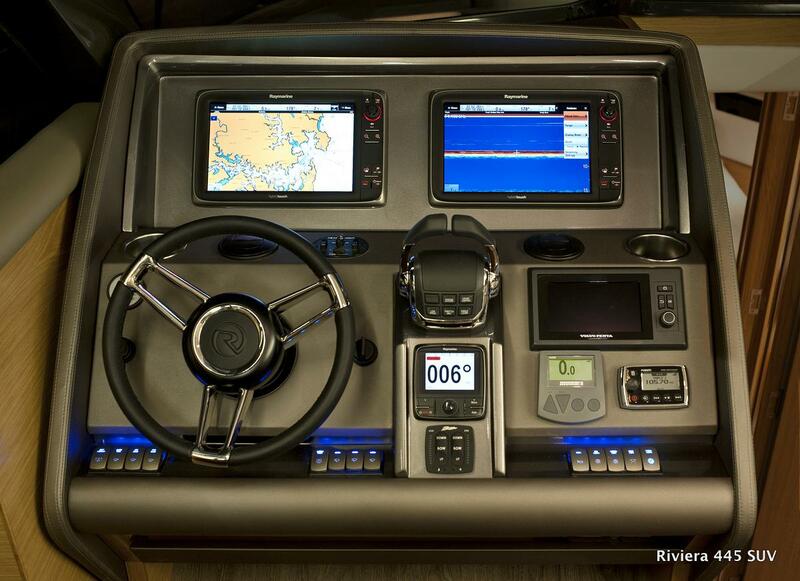 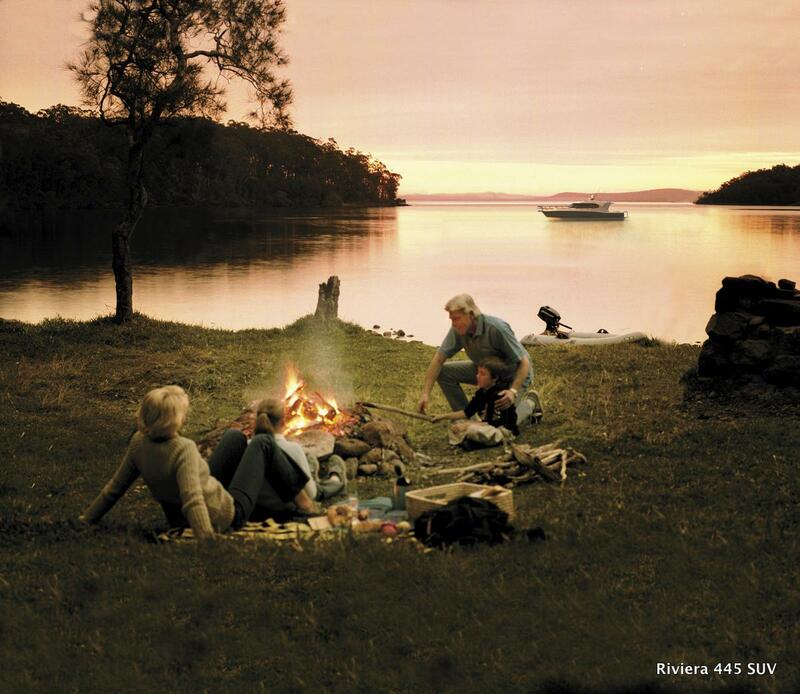 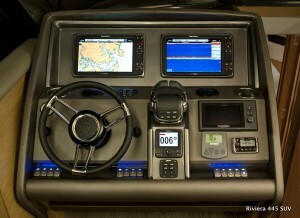 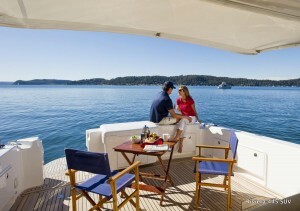 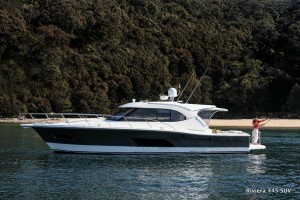 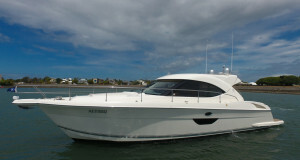 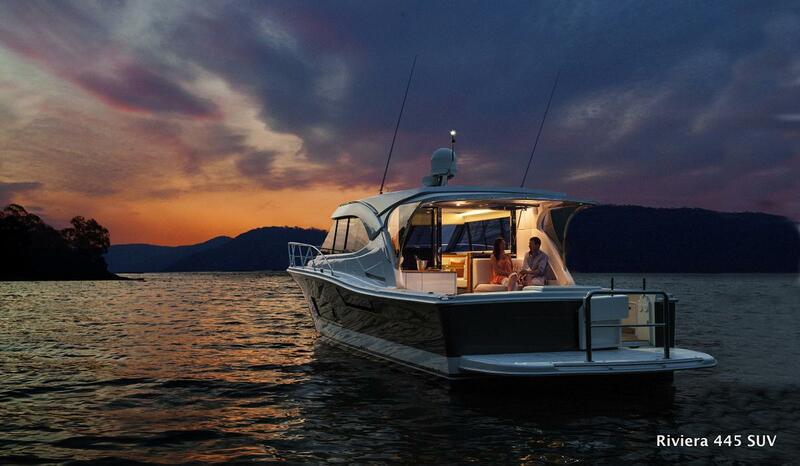 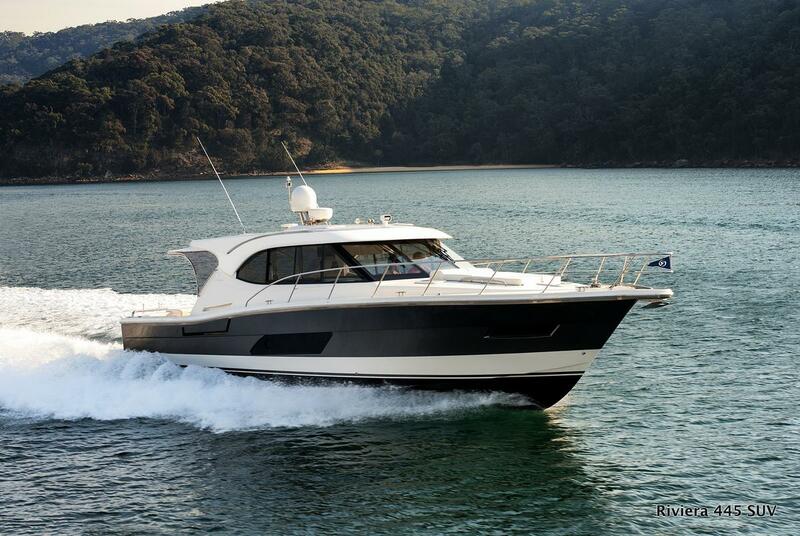 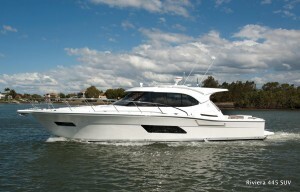 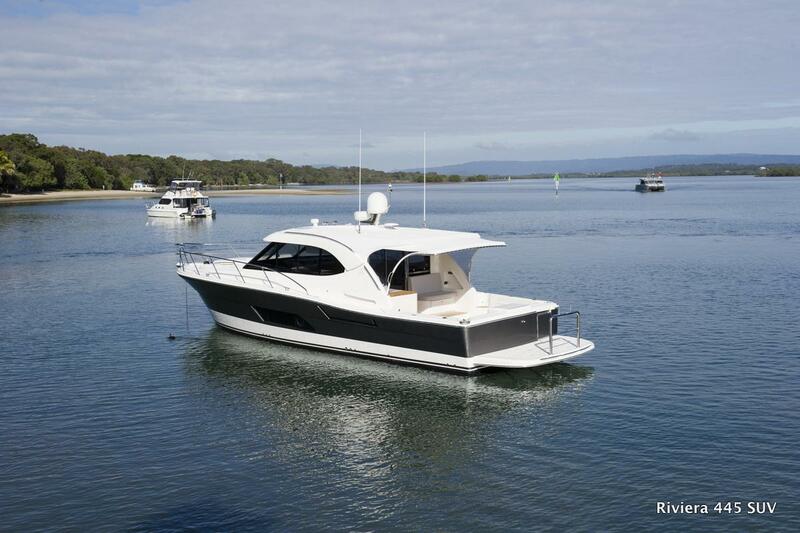 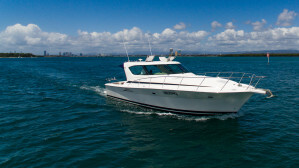 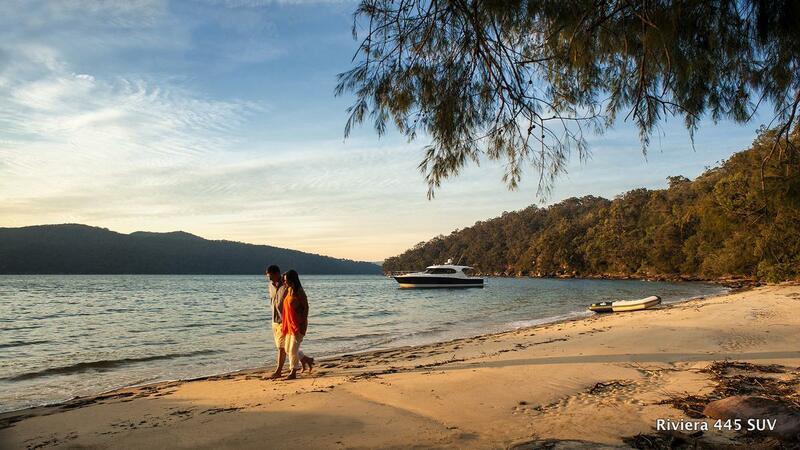 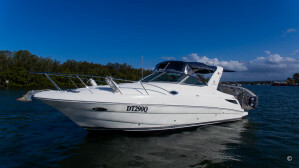 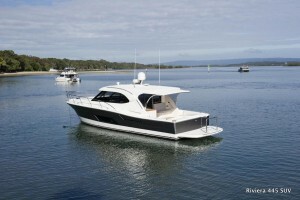 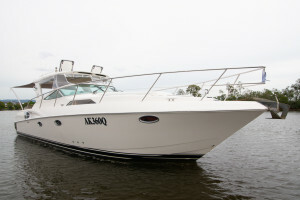 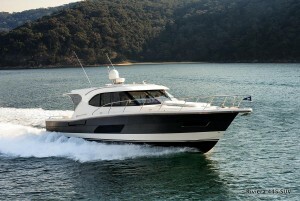 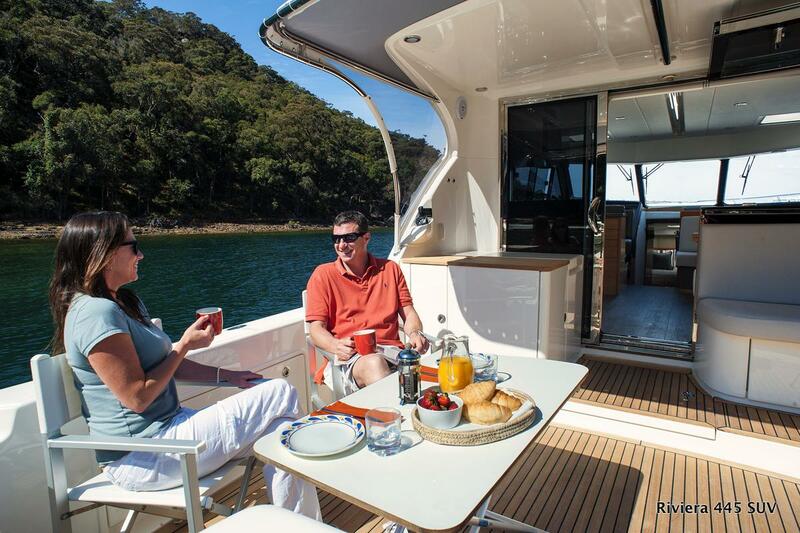 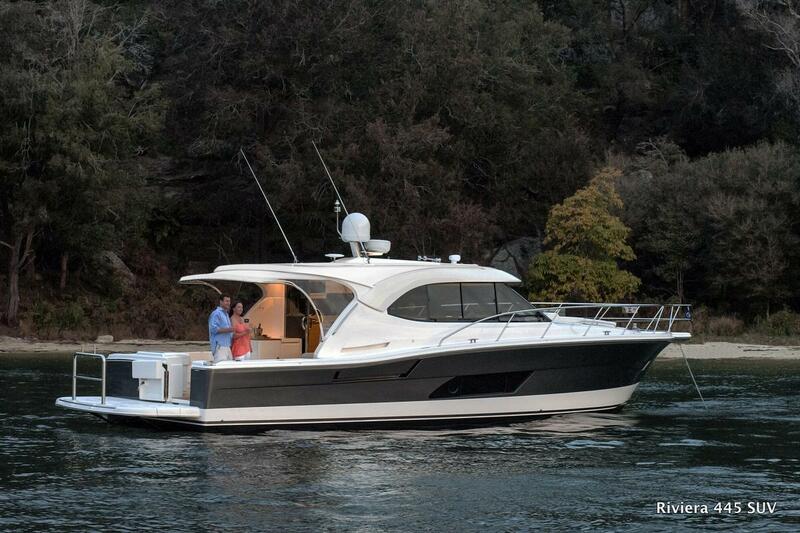 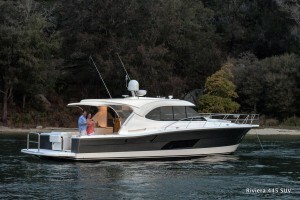 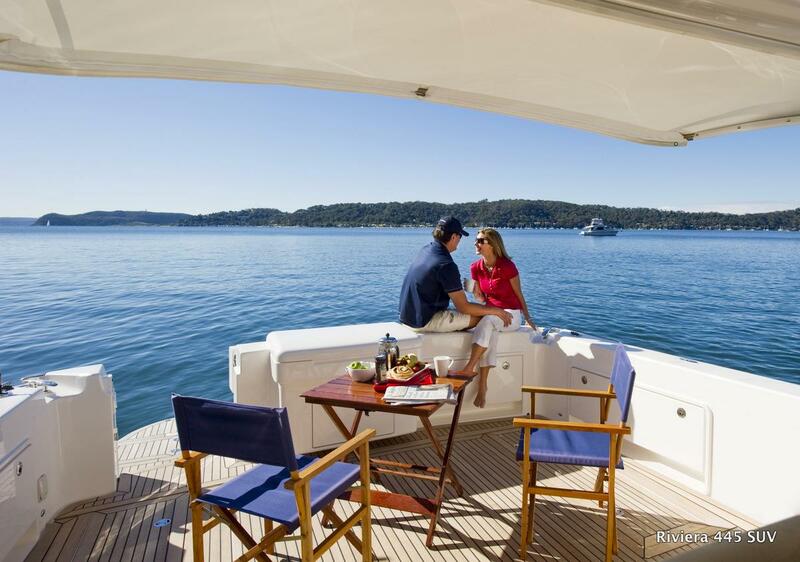 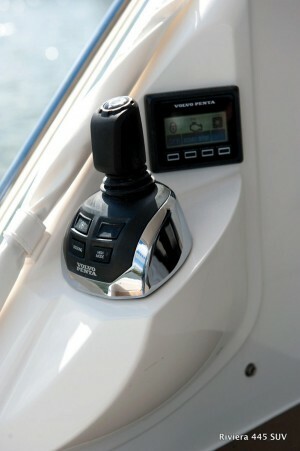 Indeed, our valued owners tell us it’s a lot like having two boats … in one. 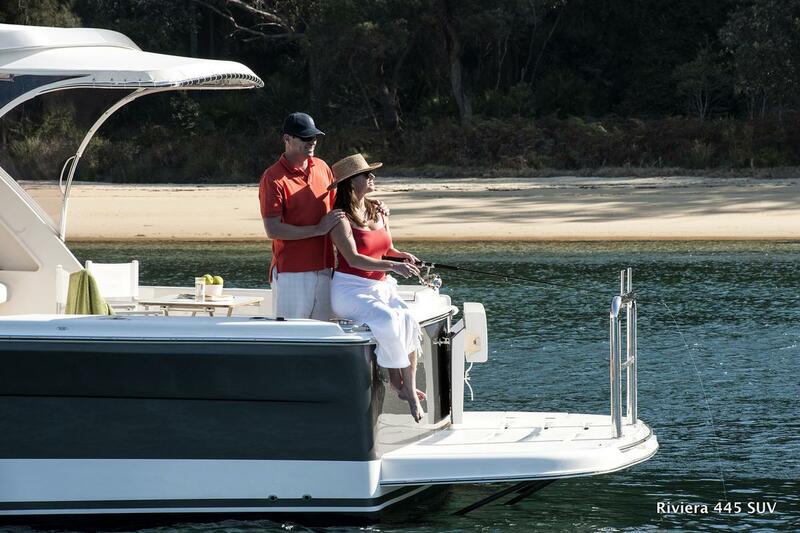 The very spacious SUV series is the perfect pairing of two legendary designs, each with its own formidable pedigree … and while its name has automotive origins, this very versatile range of Riviera has been created with the ‘ultimate boating experience’ foremost in mind. 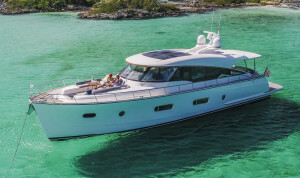 The result, of course, is a collection of crossover vessels like no other – one which combines the high-performance, blue-water cruising and fish-raising abilities of the classic Riviera Flybridge, and the single-level, leisurely entertaining features of our very popular Sport Yacht design. 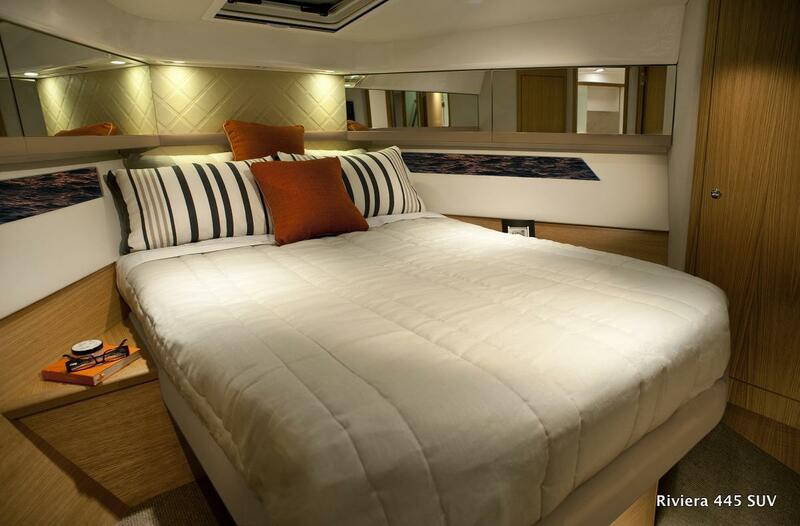 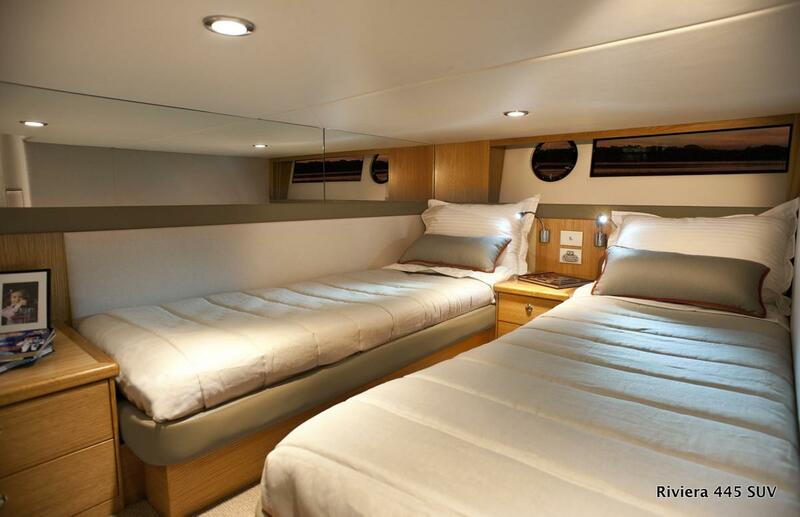 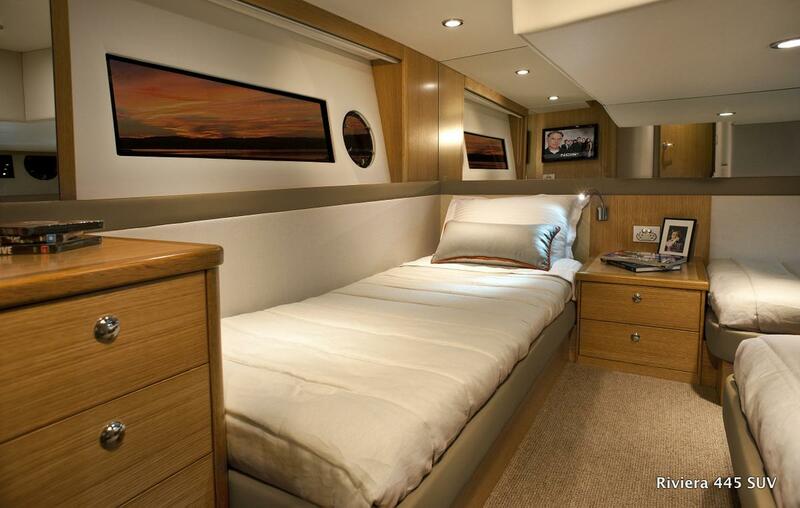 Hull Length ISO : 44'8"
Accomodation Notes : The opulent Master Stateroom forward allows for a queen size island bed of a full two metres in length. 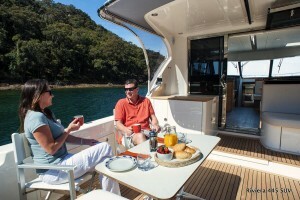 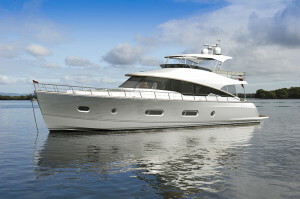 Guest accommodations offer up to three additional berths. 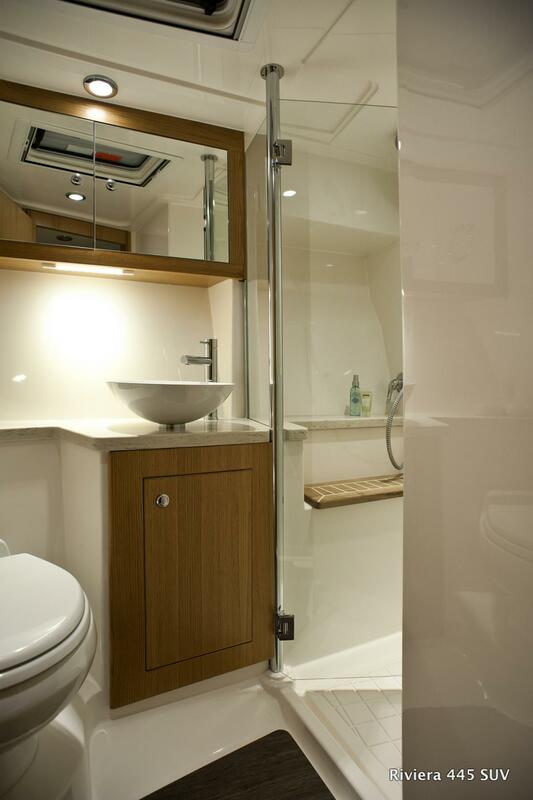 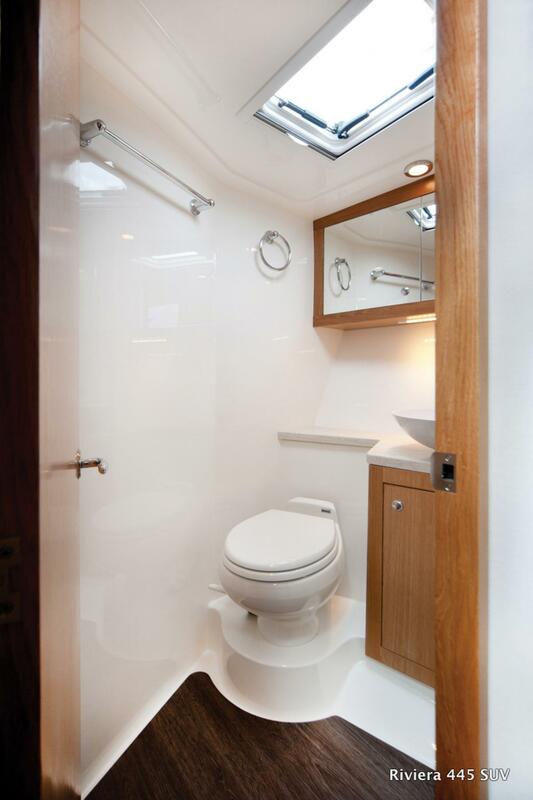 Galley Notes : A new galley design sits centre-stage between the saloon and cockpit, in quiet conversational proximity to the aft-facing mezzanine lounge, just outside.